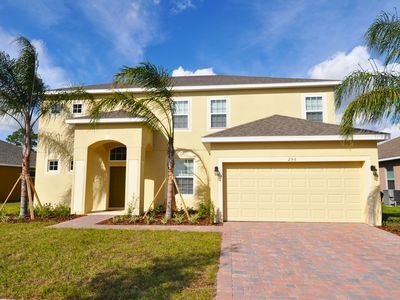 This gorgeous brand new 6 bedroom, 4.5 bath vacation home rental in the beautiful Solterra Resort, Davenport, Florida! 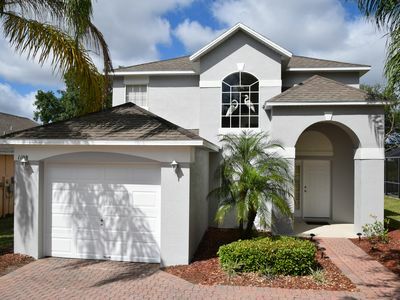 There is enough space for the entire family in this open, spacious, 2 story Disney area vacation villa paradise. 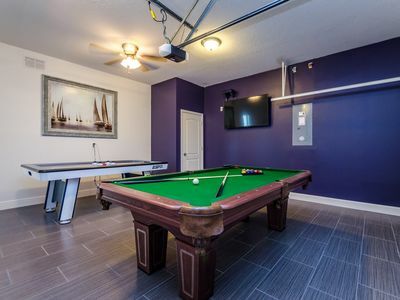 The location could not be any better. 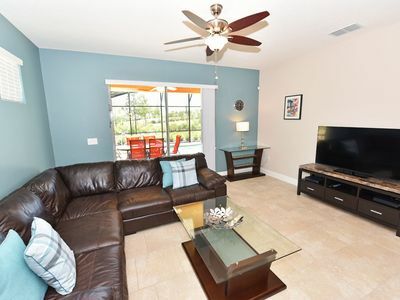 Only a few short minutes from Walt Disney World and Orlando's other famous attractions like Universal Studios, Seaworld, and Legoland, our Solterra Resort villa rental sits nestled off Interstate 4 and Hwy 27. 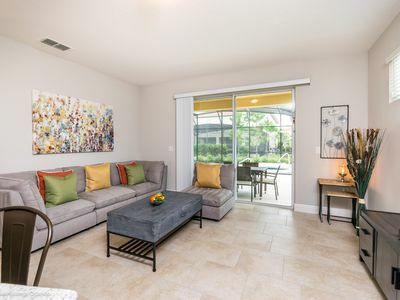 Easy access to shops, restaurants, and world class golf. 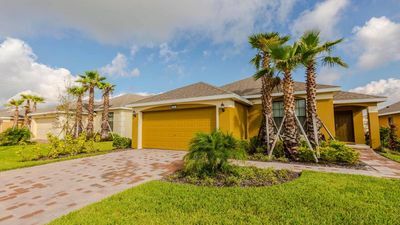 Solterra Resort is a secure gated community only moments from the magic but far enough to experience peace from the busy tourist district. 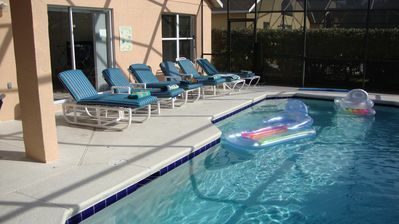 Solterra Resort is 15 minutes to Disney with access to the Interstate only 3-5 minutes from the entrance. 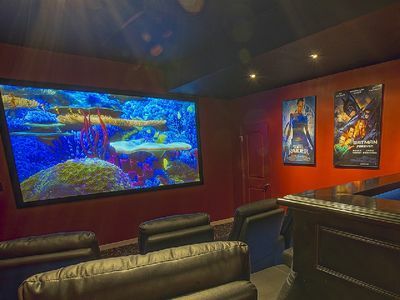 Our luxury villa offers a full living area downstairs and a separate loft area upstairs both with large flat panel tvs to enjoy a movie night and gaming on a relaxing day in from the parks. 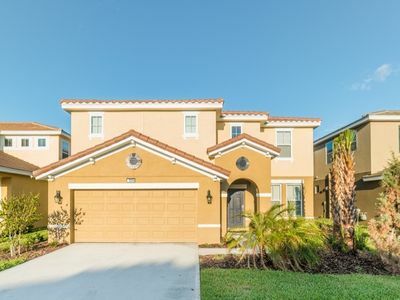 No detail has been spared as the owners have ensured that your every need is addressed from a fully stocked kitchen to the choice of refreshing paint colors. 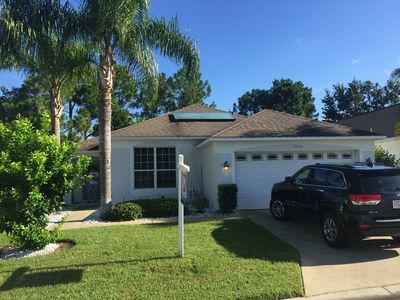 You can have a Disney area villa rental for less and get a lot less. 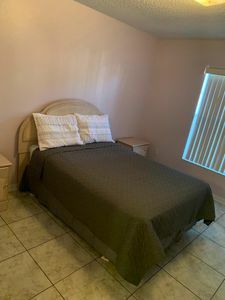 But here in our villa rental you will have upgraded, plush mattresses for a perfect nights sleep with quality bed linens and so much more. 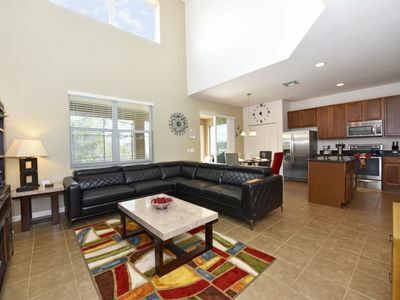 This Solterra Resort villa rental is luxury, fun for the family, and relaxing for the adults! 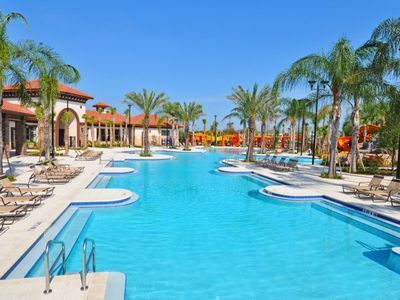 Resort Amenities Include a 6700 square foot clubhouse, swimming pool, spa, fitness center, business center (with Internet access to ensure you stay connected! 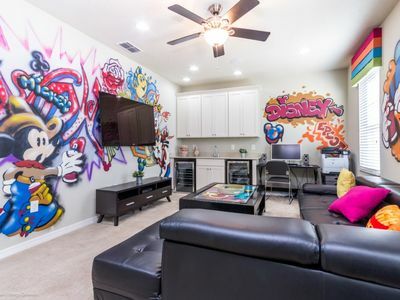 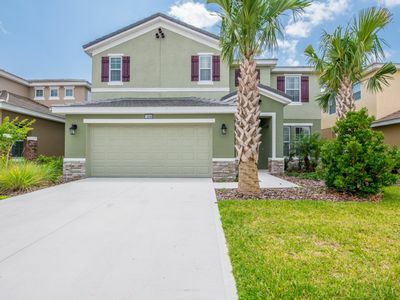 ), volleyball, tennis, childrens playground, and a picnic area where you can enjoy a meal and relax.This beautiful, contemporary styled luxury villa, is situated in Central Florida's newest and most spacious conservation development, Solterra Resort. 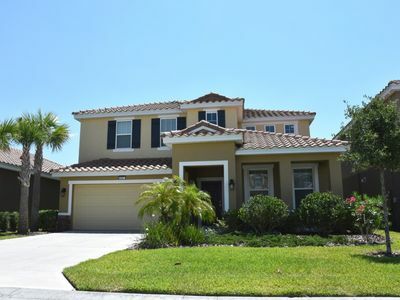 Solterra Resort is located just off the I-4 Highway, less than half an hour from Orlando International Airport and just 12 minutes from Disney, 20 minutes from Universal, and close to many exclusive golf courses in the area. 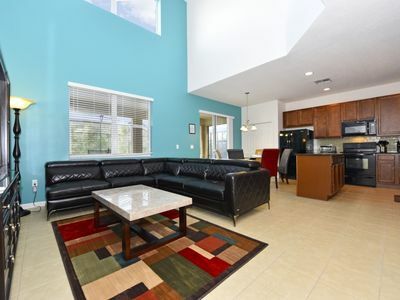 Easy access to the I-4 brings not only the theme parks, but also the Gulf beaches into easy reach by car. 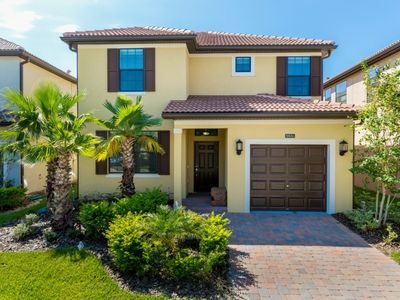 Numerous shops and restaurants are located within a few minutes drive from the resort, all of which shall make Solterra, one of Orlando's most sought-after locations. 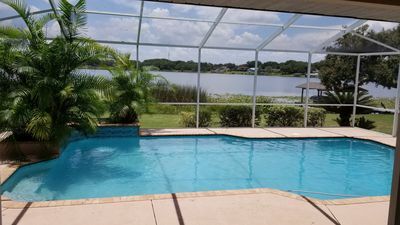 Gorgeous lake front pool home! 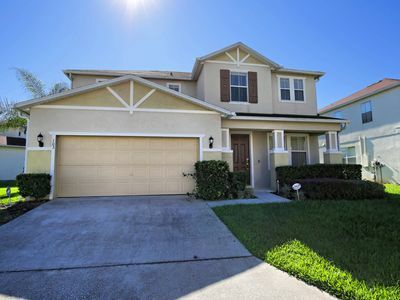 Close to Orlando and Tampa attractions!